"...enslaved artisans labour night and day, their sweated toil and unremitting agony bearing new and glittering works! Yes -- at last! 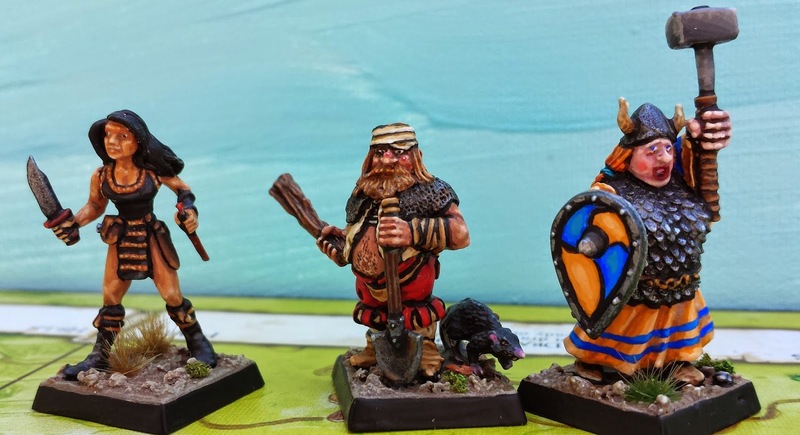 Superb models from the barely sentient Citadel Sculptor Aly Morrison, magically reproduced in shining metal by our myriad slave labourers... a whole range of miniature playing pieces... to compliment [sic] the Talisman game." This from the Spring 1986 Citadel Journal. It's good to see that they kept the help in place in those days. 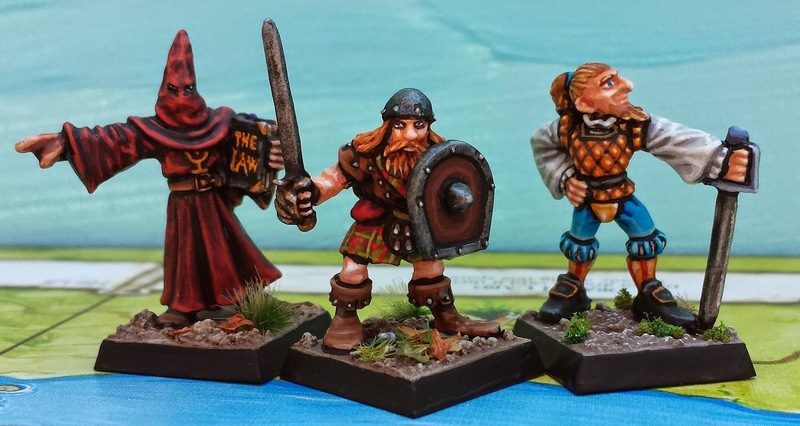 In any case, I painted the range of classic 1980's Citadel Talisman miniatures to play the modern 4th edition of the Talisman game (published by Fantasy Flight Games). Happily, the 4th edition starter set contains the same core characters, which are all featured in my previous post. But Talisman is not a game to be kept within the confines of the starter set. The whole point of the game is SUPPLEMENTS and lots of 'em, as numerous as the stars in heaven and the sands on the seashore. Although the modern Fantasy Flight supplements draw inspiration from earlier versions, the overlap in characters is not perfect. 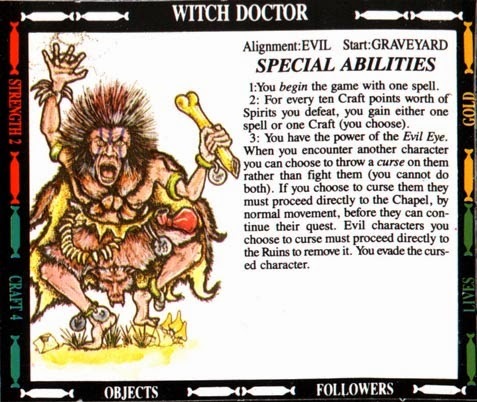 For reasons best known to Fantasy Flight's in-house anti-discrimination task force, old characters like the Zulu and the Witch Doctor didn't make the cut. 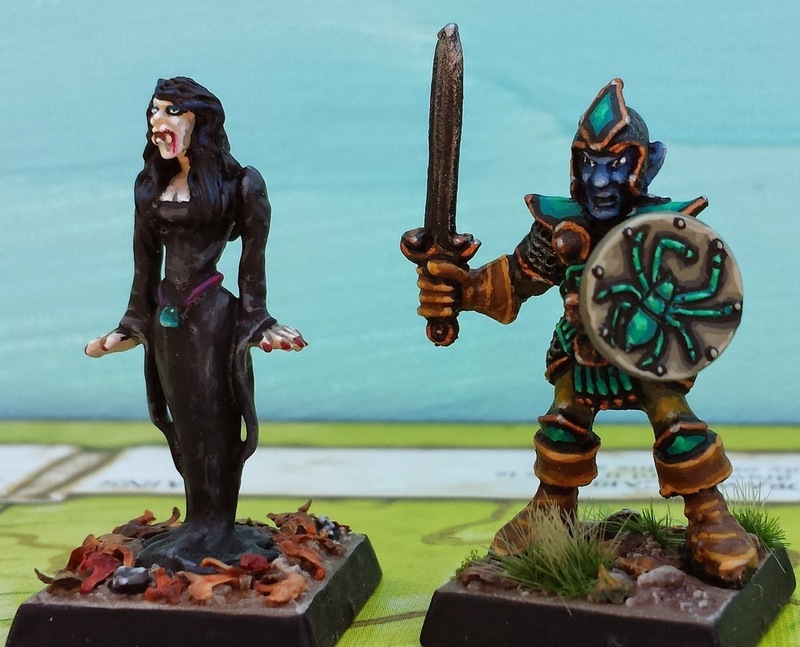 These are my additional Talisman characters. I tried to lend them each a sense of individuality by paying special attention to the skin tones, giving each mini a unique palette. 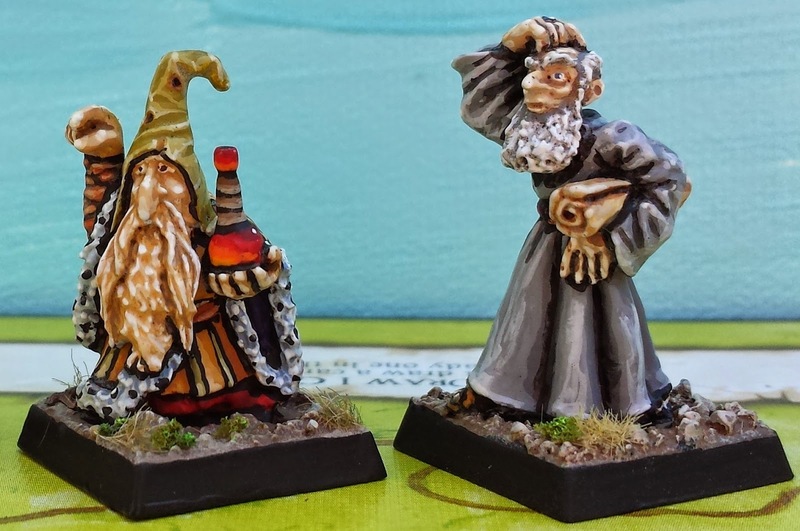 To make the new characters, some modifications were necessary: for instance, a magic-using dwarf adventurer was transformed into the Alchemist by converting his crystal ball into a potion (by employing an upside down sword handle as the bottle's neck). The Gravedigger -- my personal favourite in terms of angry skin conditions -- is also a conversion, receiving his shovel and rat from my hand. Great stuff, the lady vampire is a dead ringer for Vampira of Plan #9 from Outer Space fame, base and all. The Leprechaun and Vampire Hunter are standouts for me too, but they're all great. Bruno - thanks for all the comments. You are spot on about Vampira from Plan 9 from Outer Space! I never thought of that before. It adds another layer of luster to that mini for me! Now I feel a compulsion to track down a suitable miniature of Tor Johnson (aka the fat zombie from Plan 9). Wish me luck. My pick of the bunch though would have to be the Inquisitor. 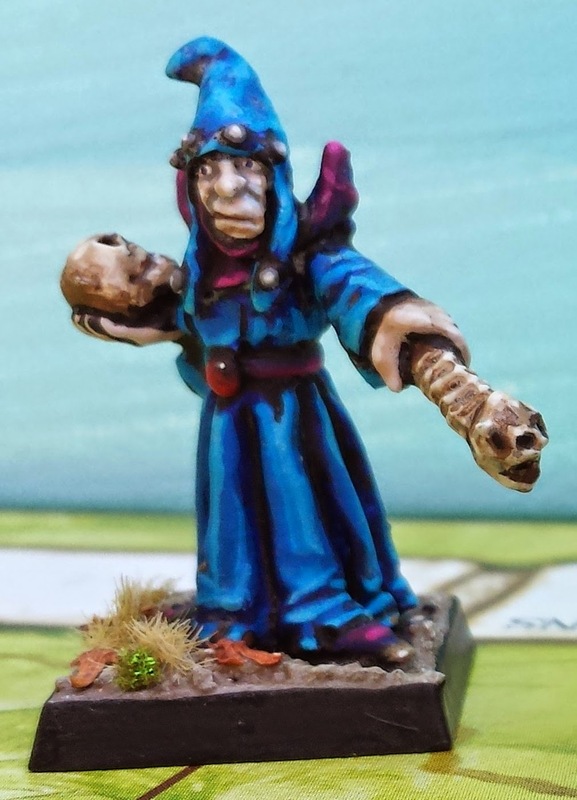 Is the wording sculpted onto his tome, or did you paint it on yourself? His red cloak looks the goods too.